Rose Jones is the 53-year-old former LPGA player won 13 titles, with victories that spanned 17 years (1987 and 2003). Although she was born in Santa Ana, Calif., and has lived in Atlanta for years, her heart--one of her biggest attributes as a 13-time LPGA winner--remains in Albuquerque, where she grew up and first made a name for herself in golf. She also competed in seven Solheim Cups (11-9-2 record) and captained the 2011 U.S. team. While currently playing on the Legends Tour (where she has won four times), she oversees Rosie Jones Golf Getaways, a high-end golf-vacation venture. 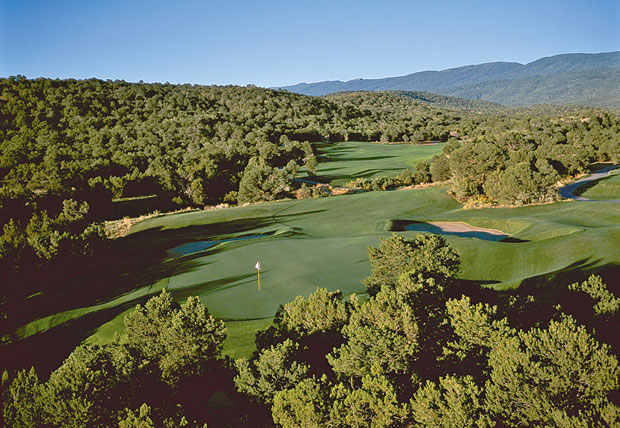 In a recent article in Golf Digest she is quoted to say, "My all-time favorite Albuquerque restaurant is El Pinto, a traditional New Mexican-style restaurant that's a local institution. The menu is fantastic, and they make their own salsa and mixes. Unbelievably, I saw a bottle of their Green Chile Sauce in Skaneateles, N.Y."
Thanks for the support Rosie. We are always pleased to see you when you are in town. 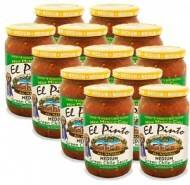 And don't be surprised to see El Pinto Salsa and Green Chile on your local grocery shelf. We are in all 50 states but not quite in all grocery stores in all 50 states (yet). Read the full article at Golf Digest.